Everyone has been touched by cancer in one way or another, whether personally or in a friend or family member. Sometimes it seems like cancer is diagnosed all too often these days. In Nebraska, cancer is the second leading cause of death behind heart disease. 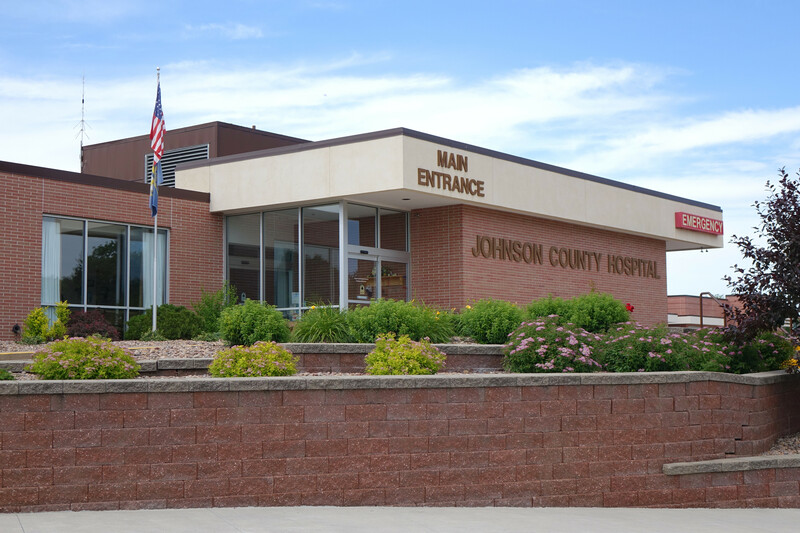 According to the Nebraska Cancer Registry, Johnson County specifically has higher rates of Non-Hodgkins’ Lymphoma, prostate cancer, and breast cancer than many other counties in the state. Most of us are familiar with the tests like mammograms, pap smears, and colonoscopies we in the medical field ask you to do periodically to screen for cancer. In doctor office visits, sometimes this is the best we do to address cancer prevention. But these tests don’t prevent cancer: they just find it. It is equally important to be reminded of the things we can do every day to reduce our cancer risk. While all cancers are different, the items listed below are useful for preventing most all of them. There is only one thing we CAN’T change about our cancer risk, which is our genetic risk. Interestingly, the hereditary contribution to most adult-onset cancers is minor. In a study of over 44,000 twins, the largest contributor to cancer incidence was found to be environmental. That tells us much of this is in our own hands in how we live our lives. Physical activity is good for you in so many ways, and it prevents cancer too! Exercising for 30 minutes 5 days of the week is the goal. Remember, it counts as exercise if you have your heart rate up and a light sweat. If you enjoy it, you’ll keep doing it. Exercise classes at the local gym, chair yoga at Ramsey’s on Monday mornings, and aerobics classes at the community center are all easy ways to get excited about getting moving in our community. What we eat can be seen as either choosing “food as medicine” or “food as toxin.” Excessive red meat (more than 5 servings per week!) and high intake of sugary and processed foods are linked with higher risk of several types of cancer. Choose whole foods, aiming for 5 fruits and vegetables a day. Choose whole grains over refined or processed grains. Eat more fish, and choose olive oil over less healthy oils. A large-scale study just published October 23, 2018 in the JAMA Internal Medicine journal confirms that eating a diet based on organic foods decreases risk of cancer. Many people find organic produce to be too expensive; in time hopefully this will change as demand increases. For now, look to the “Dirty Dozen” list, the top 12 fruits and vegetables with the most pesticide and herbicide contamination (strawberries, spinach, nectarines, apples, grapes, peaches, cherries, pears, tomatoes, celery, potatoes, and sweet bell peppers). The “Clean Fifteen” is a list of produce that you can feel more comfortable purchasing if raised conventionally, as they have the lowest levels of chemical residues (avocadoes, sweet corn, pineapples, cabbage, onions, frozen sweet peas, papaya, asparagus, mangoes, eggplants, honeydew, kiwi, cantaloupe, cauliflower, and broccoli). Although we are at the end of the growing season, raising your own produce is an excellent way to improve your health and ensure the quality and safety of your produce. It’s never too early to start planning next year’s garden! Be careful with your weed and pest control, though; the active ingredient in Round Up, glyphosate, has been linked to cancer, especially Non-Hodgkins’ Lymphoma. There are also foods that specifically reduce cancer risk. Cruciferous vegetables are a powerhouse, with a substance called indole-3-carbinol, well established to prevent cancer and even help treat it. These are veggies in the brassica family, especially Brussel sprouts, broccoli, and kale, but also including arugula, cauliflower, turnips, greens, and many others. Lycopene is a substance that is also anti-cancer, found in tomatoes, strawberries, watermelon, and more. It is best absorbed when eaten with oil or fat, like a delicious tomato-based pasta sauce. Most of us in the United States are blessed with a high-quality water supply. If you have any concern at all over the quality of your drinking water, especially if you drink from a well, it may be worth having it tested for contaminants. Contact the NE Dept of Health and Human Services Well Water Standards Program at 402-471-0546 for more information. Many people look to supplements and vitamins as a quick fix. Most have not been shown to be useful in cancer prevention. Fish oil, flaxseed, and turmeric (curcumin) have some evidence of being helpful: they are all anti-inflammatory and may help other health conditions simultaneously with little risk of side effects. Vitamin D also has mixed results, probably most useful for breast cancer prevention at a dose of 1000-2000 IUs per day. Lastly, alcohol and tobacco are well known toxins to our bodies. As a reminder, the safe limit for alcohol is one drink daily for women and 1-2 for men. Drinking more than this daily increases risk for many kinds of cancers, not just liver disease. There is NO safe limit for tobacco, either cigarettes, e-cigs, or chewing tobacco. The best gift you can give yourself is to quit. Talk to your health care provider about help to quit smoking if you need it; there are many options available. As you have probably noted, most all of the things on this list are familiar recommendations for overall health. The good news is that the measures we take to prevent cancer will ALSO make us feel better day to day, give us more energy, and reduce our risk for other diseases, like heart disease and diabetes. If you have any questions about cancer prevention, screening, or diagnosis, bring them to your trusted health care provider. Cheers to your health!